Today is Day 4 of Expo2015 and tonight Italian soccer stars are holding an exhibition match at San Siro to raise money for children. More than 800 million people suffer from a lack of sufficient food on the planet, many of them are children despite the fact that the world produces enough food to feed everyone. One of the reasons that I am writing about the Expo so much is because these are causes which interest me deeply along with the lack of sufficient water. 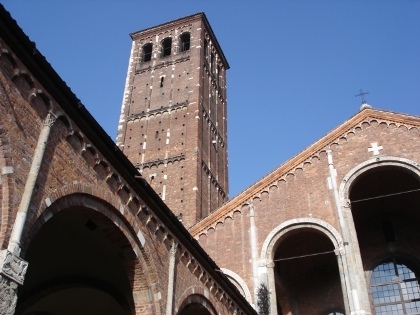 Milan is filled with beautiful churches from different centuries but my favorite of all is the romanesque Sant’Ambrogio dedicated to Milan’s patron saint in Piazza Sant’Ambrogio. I spent a wonderful Christmas eve at midnight mass there with good friends. Sant’Ambrogio is also a metro stop on the green line and a great place to get out of the subway if you are visiting the science museum in Via San Vittore or going to the market in Viale Papiniano on a Tuesday or a Saturday. As you can tell, I love outdoor markets. This one is less upscale than the one in Via San Marco. In this neighborhood, there are numerous bars to stop and have a crodino. 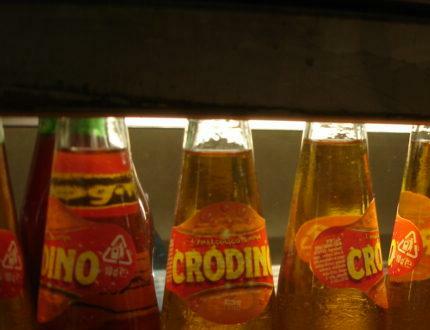 A Crodino is a trademark brand owned by the Campari Group since the mid-1990s but it is often used as a generic term for an “analcolico” or drinks without alcohol. 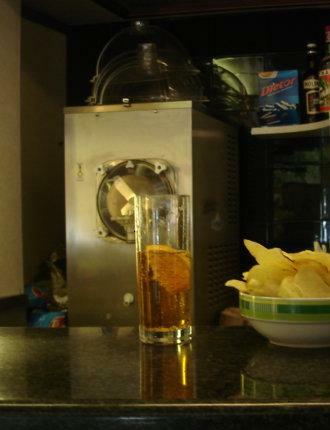 This slightly bitter orange-yellow drink is perhaps the most widely ordered analcolico in the world. Italians have it at any time of the day, generally with chips.